Stella Archives - Solar Love! Home Tags Posts tagged with "Stella"
Eindhoven University of Technology’s “Stella” — a relatively “normal-looking” solar-powered four-wheeler, normal by solar-car standards anyways — took first place in the Michelin Cruiser class at this year’s World Solar Challenge race in Australia. Billed as “the world’s first solar-powered family car,” Stella completed the 3,000 kilometer journey from Darwin to Adelaide using nothing but the energy of the Sun, all while providing ample space for passengers. Developed in the Netherlands, Stella was designed to comfortably seat four people, while still possessing the ability to obtain respectable speeds, and as a result has notably different design parameters than a solar car like, say, the super-fast Nuna7. 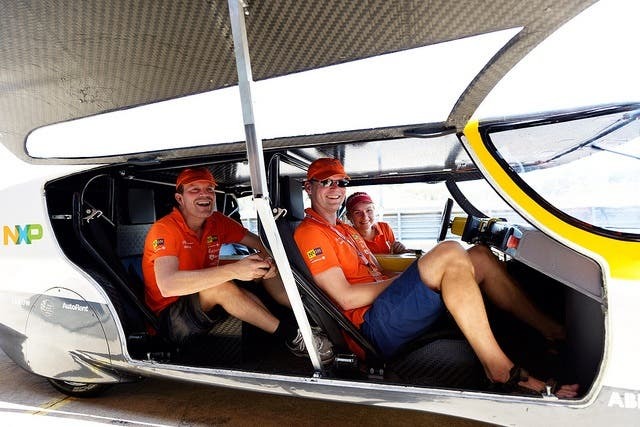 If you’re unfamiliar with the World Solar Challenge, it’s an event where universities and research institutes create solar cars and race them 3000 kilometers (1864 miles) across the hot, dry landscape of Australia. Pretty cool. 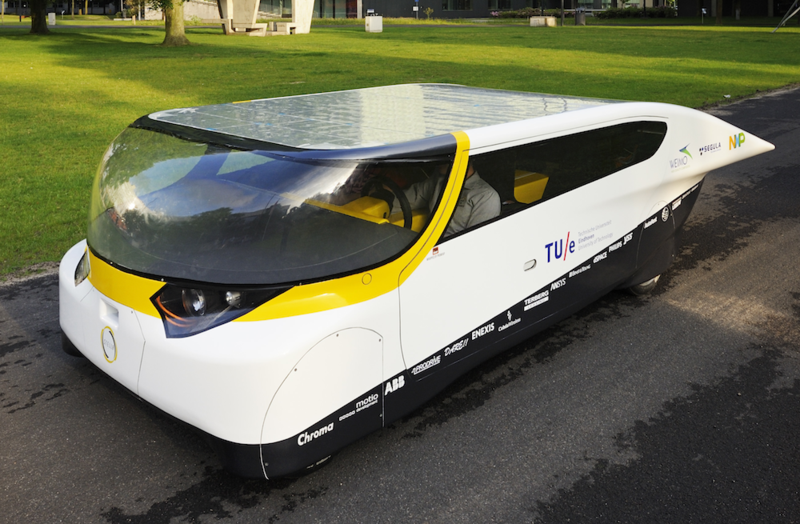 This year, Solar Team Eindhoven (STE) of Eindhoven University of Technology (TU/e) is doing something a bit different than normal, as it has created a “solar-powered family car” for the race. Stella, TU/e’s solar-powered car for families.